Former Vice-President Atiku Abubakar says he has not ruled out the possibility of holding talks with his former boss, President Olusegun Obasanjo, in pursuit of his political ambition. Atiku’s Media Adviser, Mazi Paul Ibe, stated this on behalf of his principal during a phone interview with Punch correspondents in Abuja on Sunday. Ibe explained that Atiku, a master of consensus building, would not discountenance the importance of carrying everyone along. He spoke in reaction to the advice given by former President Goodluck Jonathan. 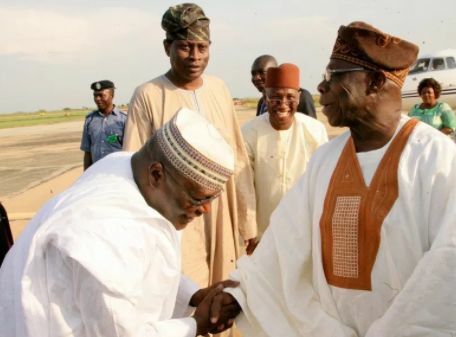 Jonathan had, in an interview, described ex-President Olusegun Obasanjo as “the boss of bosses.” He had advised Atiku to reconcile with Obasanjo in order realize his political ambition. Atiku meets PDP leaders It was gathered on Sunday that Atiku had been meeting with leaders of the PDP. NAN reported that the former number two citizen had met with members Adamawa PDP executive at all levels, as well as state chairmen from the six states that made up the North-East. He was also said to have met with the PDP national vice-chairman in the North-East. The Adamawa State PDP Secretary, Abdullahi Prambe, said, “The meetings have been fruitful. Some members of the Senate, including some APC senators, have faulted Governor Nasir e-Rufai of Kaduna State and other politicians who criticised Atiku’s resignation from the ruling party. Senator Rafiu Ibrahim, (APC, Kwara-South), in a phone interview with Punch, said the former vice-president should not be underrated. The lawmaker noted that while many critics of Atiku’s resignation thought it was for his presidential ambition, the former vice president could choose to back a candidate against Buhari. Also, Senator Shehu Sani (APC, Kaduna-Central) said el-Rufai’s condemnation of Atiku was inspired by their long-standing rivalry.